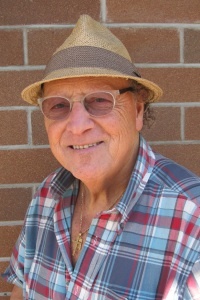 Considered one of Vancouver’s top stylists, Richard Jeha has successfully operated his well-established Kerrisdale salon for over 40 years. The Lebanon-born hairstylist—known for his expertise in colour, cut and style—creates an individualized look that best suits your lifestyle while enhancing your natural beauty. Richard’s wealth of knowledge and years of experience play an instrumental role in guiding new and upcoming stylists. His desire to mentor and influence the next generation motivates him to always stay at the forefront of this ever-changing industry. To keep practices current, Richard’s team of experienced, international award-winning stylists continues to learn and grow. Through consistent education and training, Jeha’s colleagues strive to expand their creativity by delivering industry-leading cutting-edge services. Friend, colleague and great admirer of the late, legendary hairstylist Vidal Sassoon, Richard’s work at the Sassoon Academy in London as well as his progressive attitude and artistic vision have gained him worldwide honours, accolades and respect. Recognized for his involvement in the community, Richard believes in giving back. His commitment to charitable fundraisers, local events and Vancouver’s theatre scene—Richard produced Steel Magnolias at the Arts Club Theatre in 1989—has established him as a well-known and well-respected presence in one of the world’s most beautiful cities. Committed to creating a welcoming environment, Richard’s personal touch, warm smile and attention to detail provide his clients with a memorable salon experience each and every time. Known as a gifted professional, performer and artist, Kimberley’s innate desire to be creative knows no bounds. 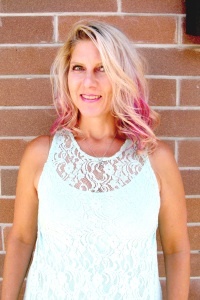 A leader in the industry for more than 25 years, Ashley’s love and passion for hair are reflected in the quality of her work, innovative techniques and dedication to her clients’ happiness. A graduate of The Raymond Academy in Vancouver, Kimberley has won a variety of awards—both at home and abroad—as well as garnered recognition, praise and admiration for her work. Considered a cherished and valued member of the Richard Jeha Hair Company, Kimberley has called the Kerrisdale salon home for over 11 years. Her enthusiasm continues to inspire, energize and motivate her colleagues to be the best at what they do. Kimberley’s personalized service will leave you feeling pampered, re-energized and beautiful. Known for her engaging smile, personable nature and eye for style and trends, Cara has been with the Richard Jeha Hair Company for a year and a half. 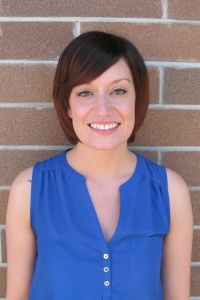 Born and raised in Kelowna, BC, Samsom moved to Vancouver in 2011 to follow her dreams and pursue a career in hairstyling. Cara is a graduate of the Pro Hair Diploma Program at Blanche Macdonald and continues to further her education through advanced colour, cutting and styling classes. Passionate about cutting and colouring hair, Cara ensures a customized look that reflects every client’s individual personality and style. Make an appointment to see Cara, Jeha’s talented junior stylist, and feel confident knowing you’re in good hands.